If you think you saw it all, guess again. 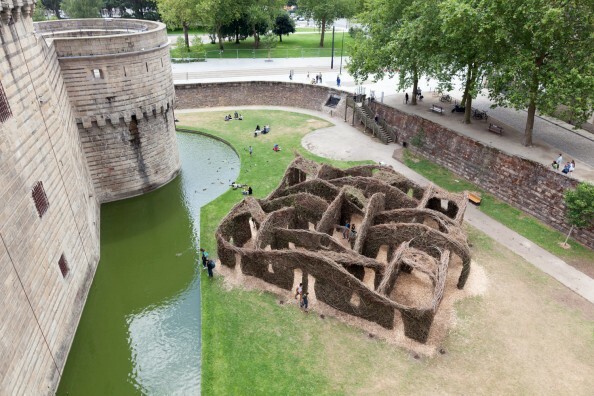 Have you ever heard of the talented artist Patrick Dougherty? If the answer is no, prepare yourself for an amazing ride. This man, now in his 70’s is an art extraordinaire. In the past 30 years he has traveled the world and produced over 250 art works. Remarkable, unique and highly-recognizable pieces which have brought him international acclamation. Born in 1945 in Oklahoma, he undergone his studies in North Carolina and Iowa, now owning three degrees. He’s carpentry skills have pushed him forward when he started to learn more about the primitive constructions and discovered tree saplings as a core material for his work. 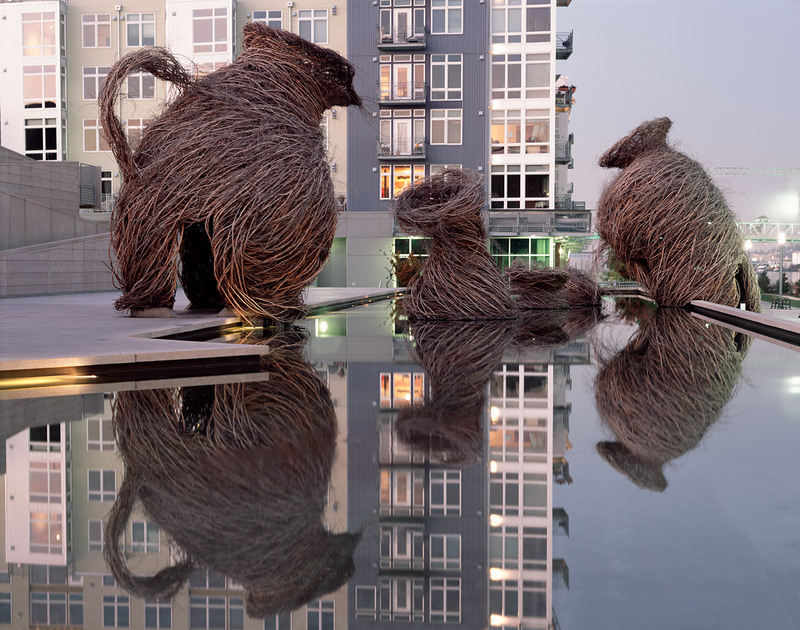 His constructions basically reunite with the nature and become part of the environment where they are built. Now these structures are present all over the world. 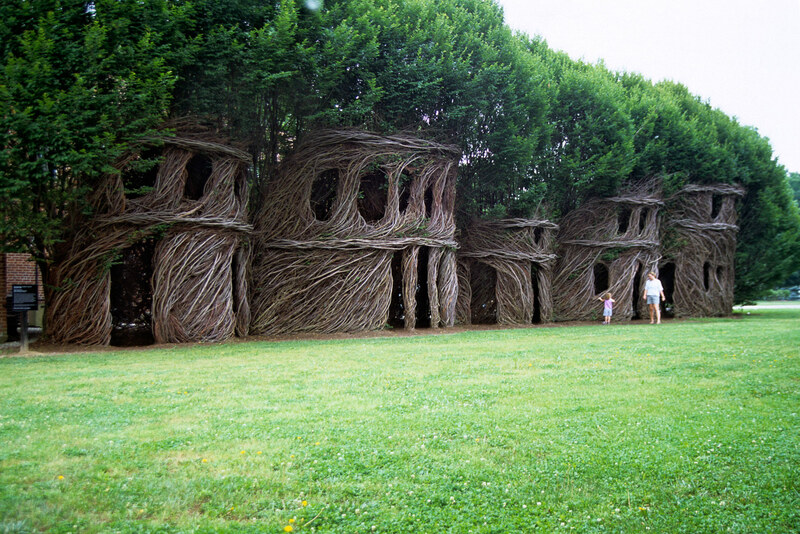 From Europe, Asia and all over the United States, his work in scattered so that people can enjoy his amazing sculptures. Not everyday one can witness an alive, breathing work of art. These wavy houses, huts, and objects are carefully created to fit the surrounding space. Some one might thing were actually trees growing in an unique way, the man’s touch is not always perceivable. For sure his sculptures have served as an inspiration and give a sense on fantasy to the beholder. Yo can easily imagine a fictional character getting out from one of these houses, gracefully welcoming to it’s wonderful world. So I guess Patrick’s art is both eco-friendly and has a mind-bending perspective. But for the artist is simply “stickwork”. 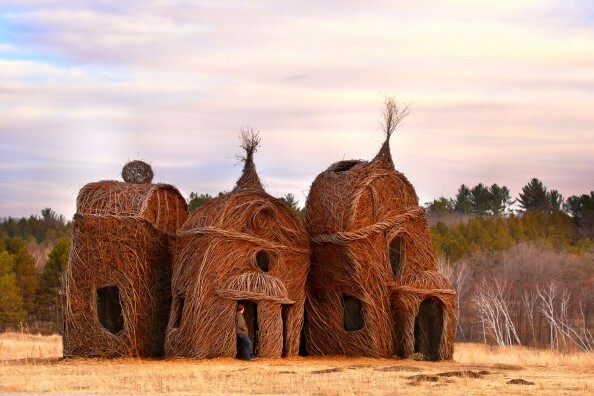 The film created about Patrick Dougherty, the artist, shows a deep and personal view on his art and lets us discover not only the man behind the art but also his creative process and introduces us into a magical world where bending sticks becomes an award winning work of art. It’s amazing to take something that has been broken and give it life again, helping it reach it’s true potential. His work actually allows nature to take part in the creative process and contribute its part in creating the final sculpture.